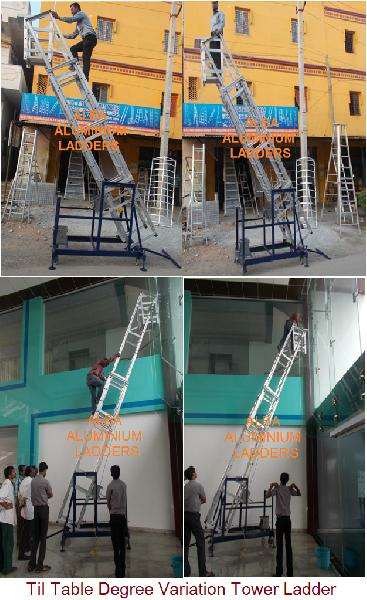 We offer the best quality Tiltable Tower Ladder, as we are a leading manufacturer and supplier of tiltable tower ladder. Sides of “C” section and steps 1” Dia non slip corrugated tubing, complete with safety locks. 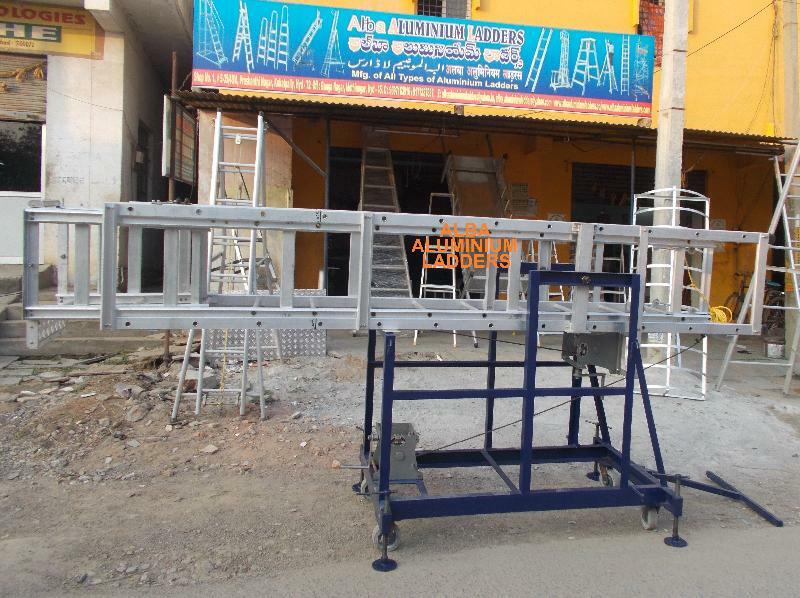 Tool tray, safety gate, cage platform. Steps-Aluminium Round pipe of 25.mm IS:733-1983 temper T-6 at a distance of 300mm (12inch). Winch (Gear box)-2 Heavy duty winch. Weight capacity 1 ton each. 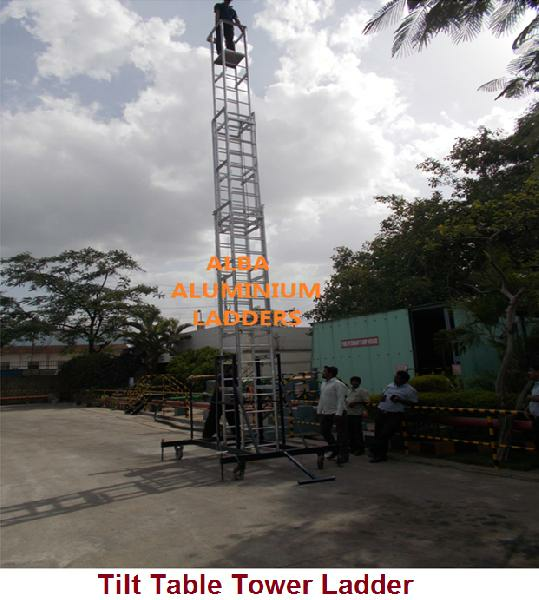 Plat form size-outer to outer 20inch X 20inch at the top covered with thee side made of Aluminium “C” section Platform placed 3ft below from top. Platform made Aluminium chequered plate (thickness 3mm). Tool Tray Size 6 inch X 2ft. Trolley Size- 6ft X 10ft. Made from MS channel of 100mm X 50mm X 6.5mm. Side Angle- M.S angle 50mm X 50mm X 6.5mm. Steel Rope- Tested Rope of 8mm. Wheel 2x8 inch M.S Forged solid rubber wheels (2fix & 2 swivels) with Double ball Bearing. 4 parking jack will be attached to the trolley. 4 sides Steel Rope & Chain 6 mm to arrest swing of the ladder stabilizers to immobilize the trolley. 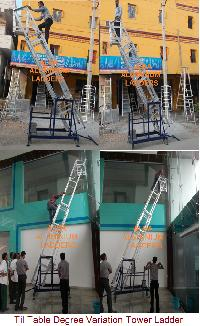 We Manufacture Our All Product As Per Customer Requirement/Drawing. Ideal For Electrical Works, Domestic Purpose, Or Any Industrial Job At A Height.